After a busy day learning all there is to know about the art of blogging, networking with fellow bloggers and brands at #BML17, there was only one place to be – the official #BiBs2017 City Cruises party! This was no ordinary party though, the #BiBs2017 was hosted by City Cruises on its MV Millennium Diamond, the impressive flagship vessel of London’s No. 1 sightseeing cruise on the Thames! We were welcomed onboard with a glass of bubbles at the London Eye and were soon admiring the view through the floor-to-ceiling panoramic windows that spanned the entire length of the saloon. Then we set off, heading East, down the Thames. For the first half hour we got to drink, chat and mingle with our fellow bloggers, some we have only ever spoken to online and others we look forward to seeing every year! We also got to celebrate the arrival of new a blogging star who seemed to take the wave of cuddles in his stride! Some struggled finding their sea legs but a spot of fresh air certainly helped on the large open upper deck. We knew it was time for the #BiBs2017 when the party blowers were handed out and you could feel the excitement in the air as the awards began. We were treated to an introduction from Susanna and Jen, welcoming everyone onboard and celebrating the wonderful world of social influencing, before the awards got into full swing. The community spirit was in full force as the nominees for each category were read out with whoops and cheers for every name and there were some very shocked faces from some of the #BiBs2017 winners. 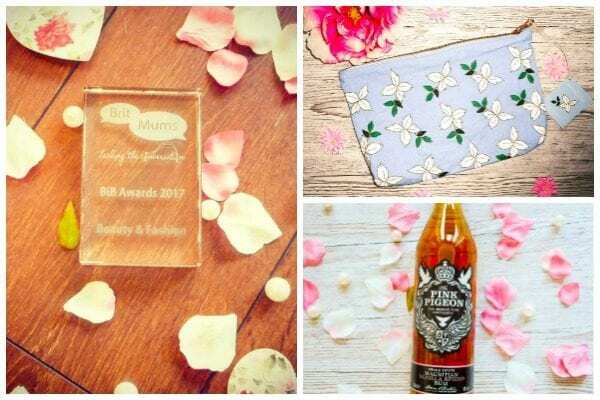 Accidental Hipster Mum shared a picture of her award along with some of the goodies from the winners’ bags. Awards over, it was time to celebrate with more drinks and nibbles and I can only commend the amazing staff onboard the MV Millenium Diamond as they continuously topped up wine glasses, handed out food and managed to pause as they were grabbed to take photos of everyone having fun. There were also some impressive photos taken of the London cityscape from the deck and these ones from one of our photo finalists are my favourites of the evening and put all of mine to shame! A big thank you to our wonderful hosts City Cruises for a unforgettable event and to all our attendees, finalists and the winners for making it a night to remember.